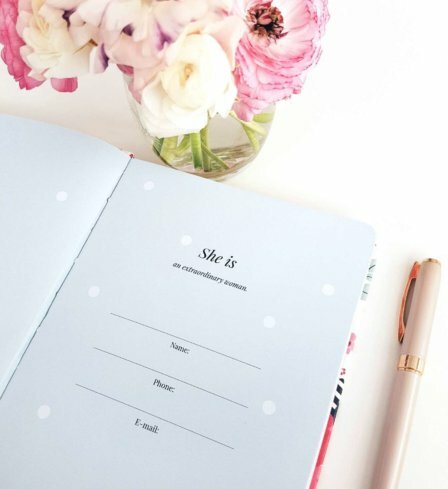 A beautiful and elegant planner. 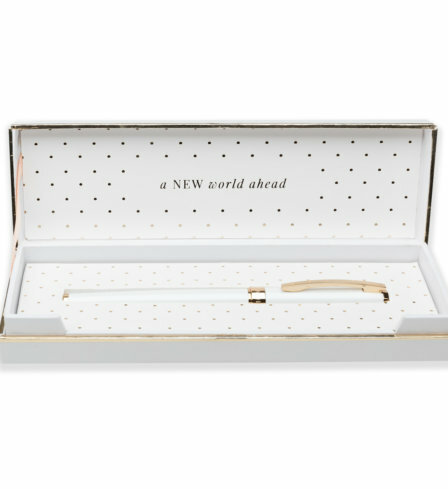 Elegant for meetings, sturdy and compact enough to carry in your bag and the perfect blend of planning, to do and reflections. Your all in one product and Australian made! Eleni. I was delighted by the packaging and wrapping which included inspirational quotes. 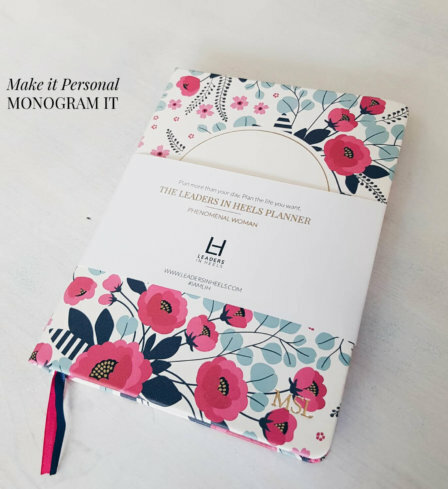 The quality of the cover and paper pleased me very much and the set up of the planner is amazing. It got me so excited to use it! 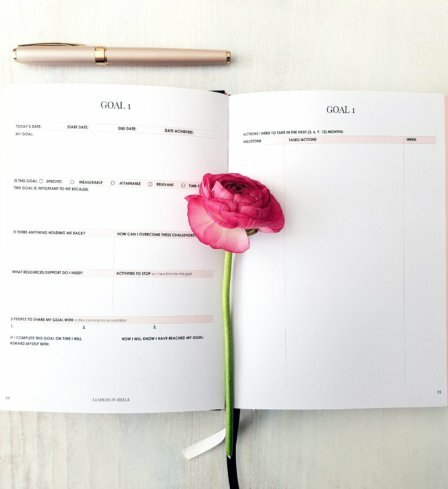 This planner is helping me be more mindful and to keep track of my time and priorities for my business. Couldn’t be happier! 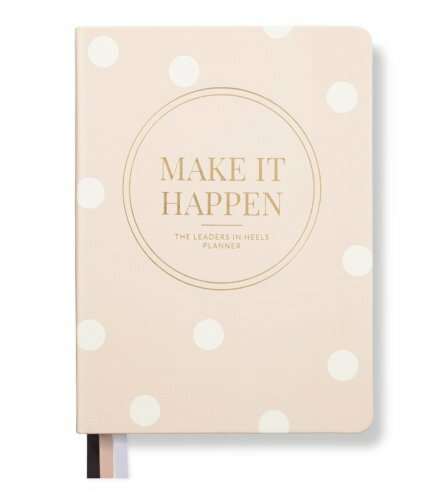 I am so excited by the whole planner! 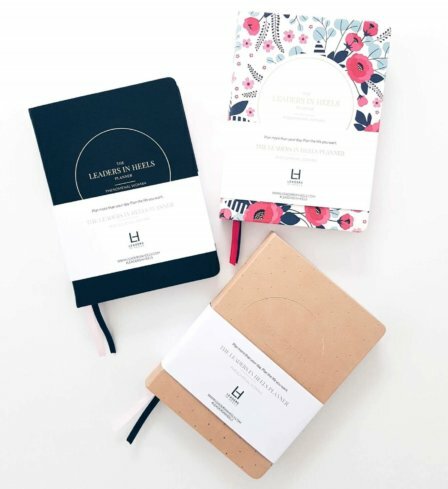 From the packaging through to the quality of the design and paper I am absolutely thrilled!! 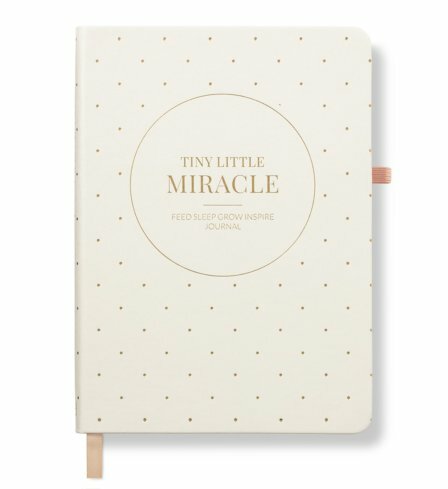 Amazing planner and resource. Wish Is was dated. 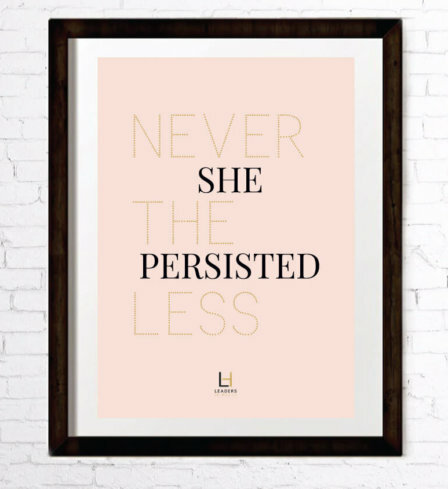 Purchased this for my daughter and she was really impressed. 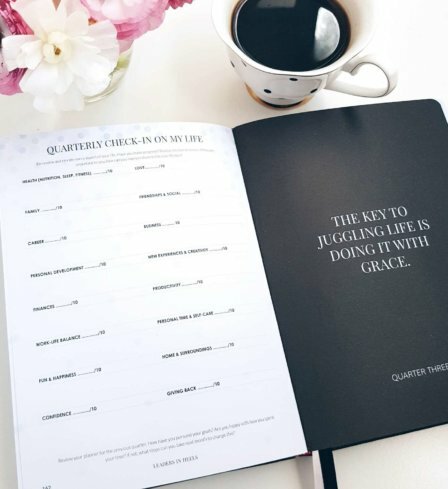 This planner is helping to hold me accountable for my goals. There is a lot to it and it’s fun mastering each section! 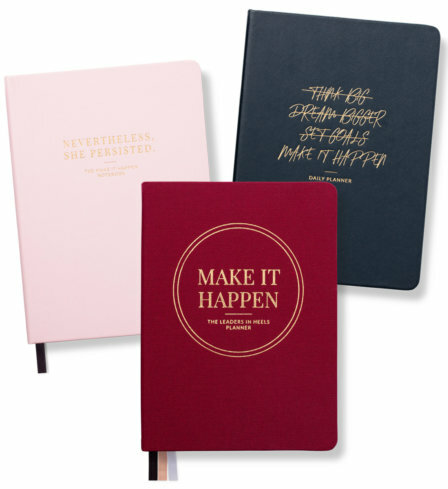 I love everything about my planner and wish I had one decades ago. Luckily for me it’s never too late to be inspired all over again. 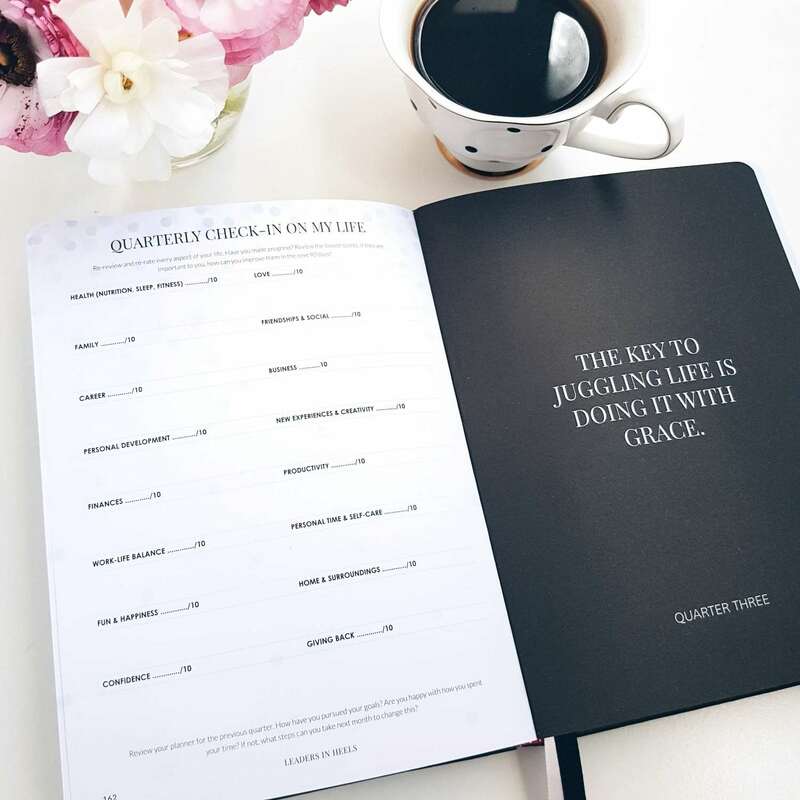 I have only just started using the planner, and so far it has been really good to actually reflect back and think forward before the year really begins. 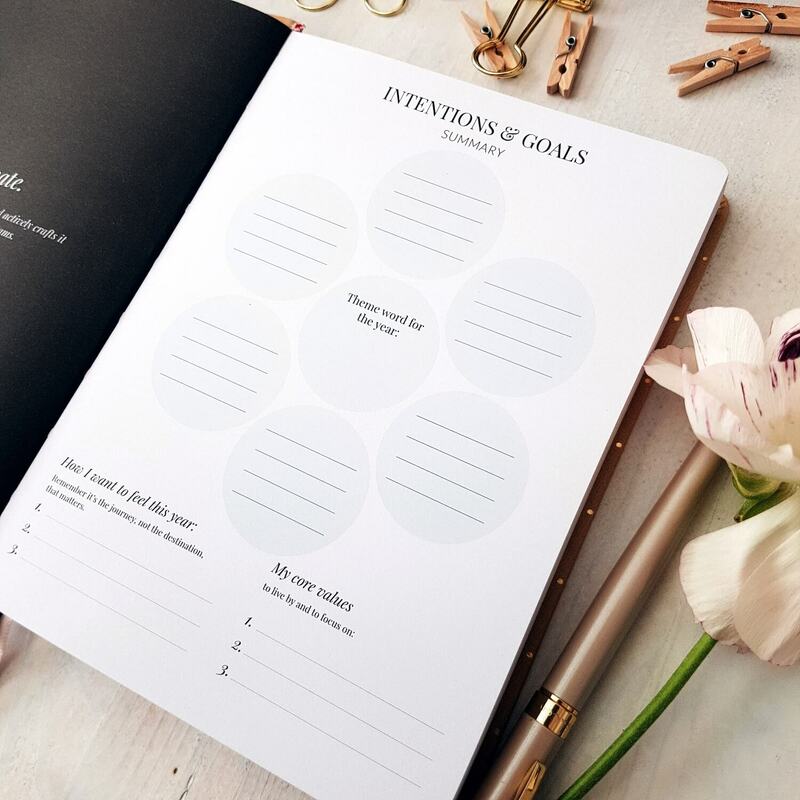 The goals and intentions are a great way to be more purposeful about 2018! 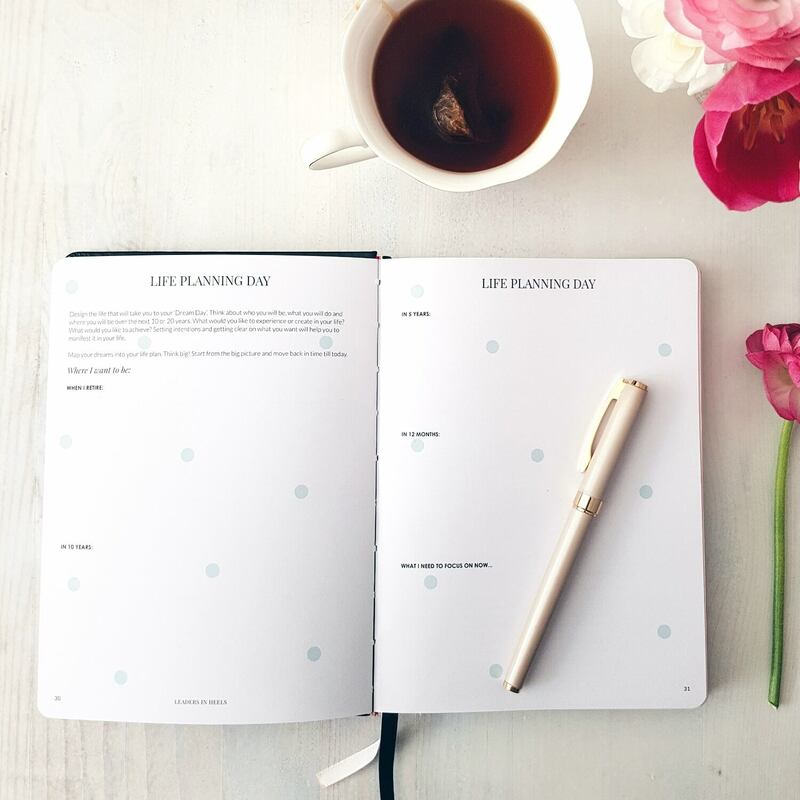 I love the layout of the planner. It’s my first time using anything like this, so I really hope to make the most of it, and have a productive year. Some of the features could be explained – like the 5 dots in the “Daily Tracker” section. Otherwise, I love the design and style of it. 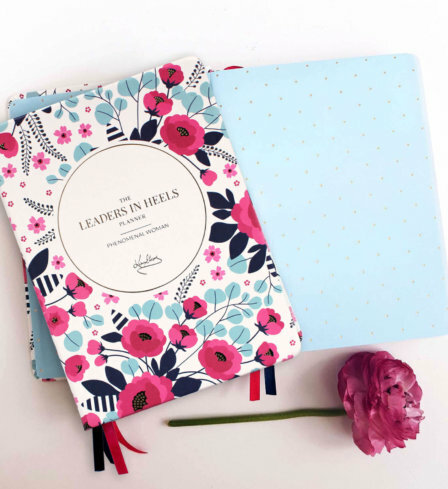 The way in which the planner was packaged and sent out was pretty special too!! Exquisite! 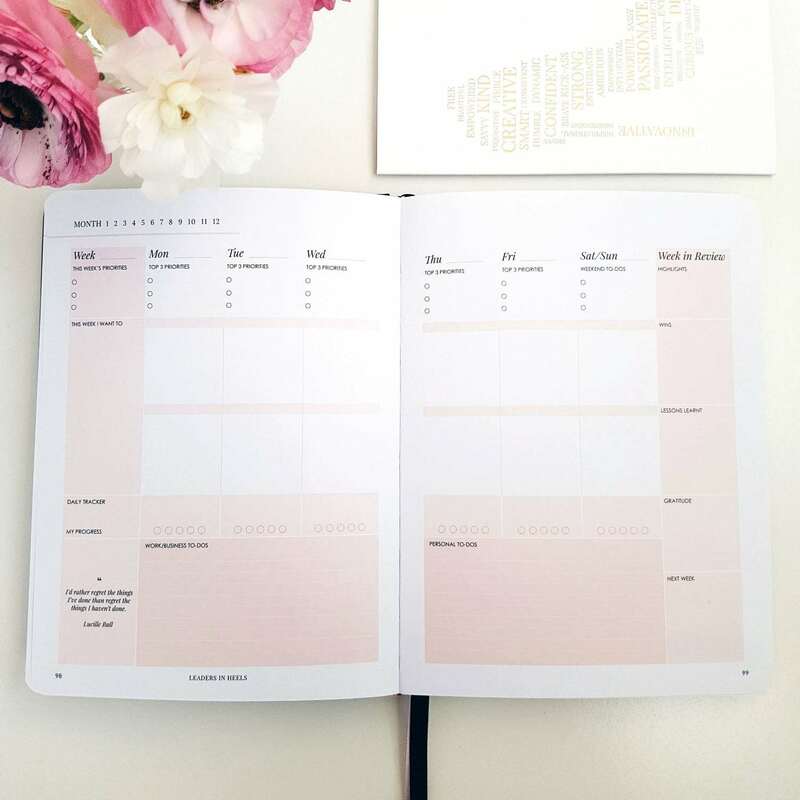 The planner cost me 3x more than any planner I have bought before (because of the exchange rate) but is the most comprehensive, inspiring and motivated planner I have ever seen or used. 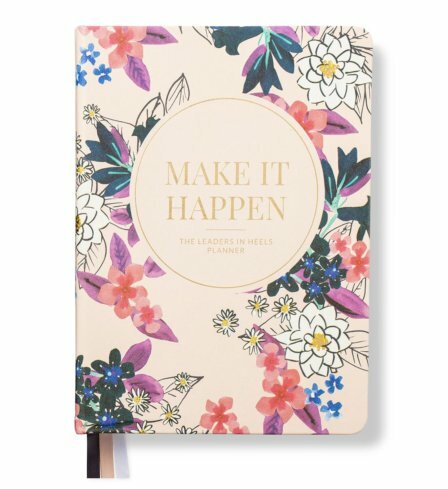 I love my floral planner – it looks gorgeous and is great at encouraging me to verbalise my goals and keeping me on track. Quality is great! 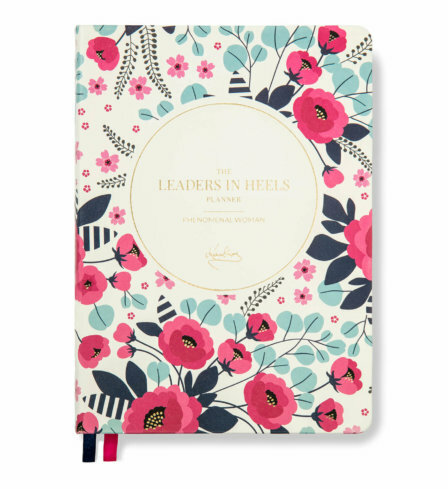 It’s a beautiful planner and I love the layout, colors and style. I’d love the idea of a version that had pre-printed dates and time slots for the year. 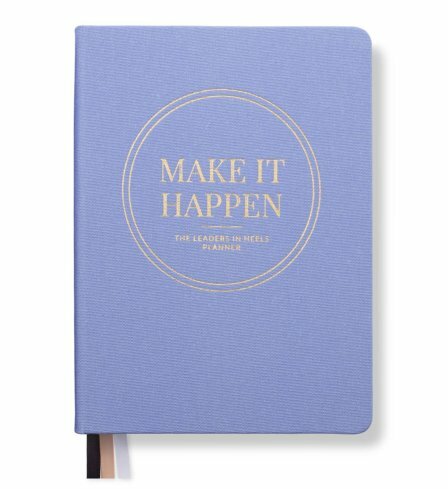 Love my new planner! 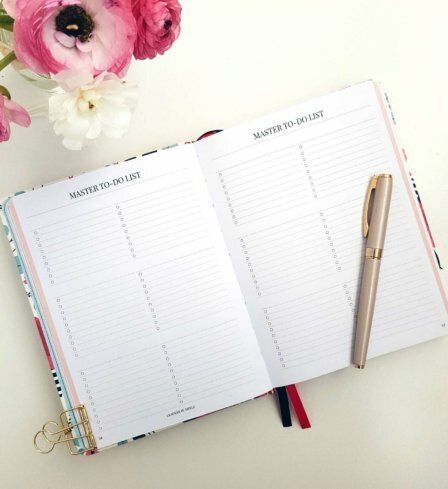 Feeling organised, inspired and driven for the year ahead. 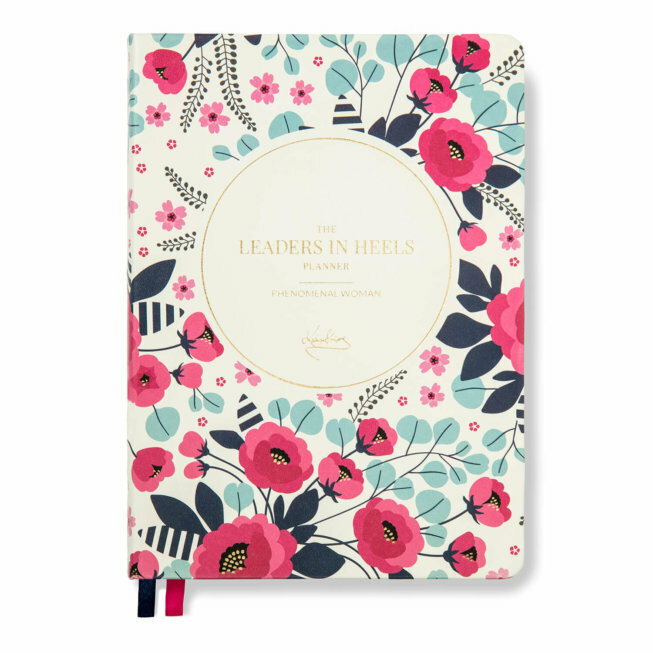 I am a new member of Leaders in Heels and am looking forward to being more organised and planned in where I am going. 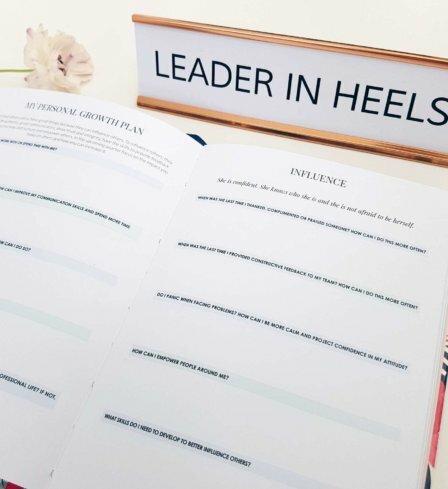 This year is “my year” – thank you Leaders in Heels. 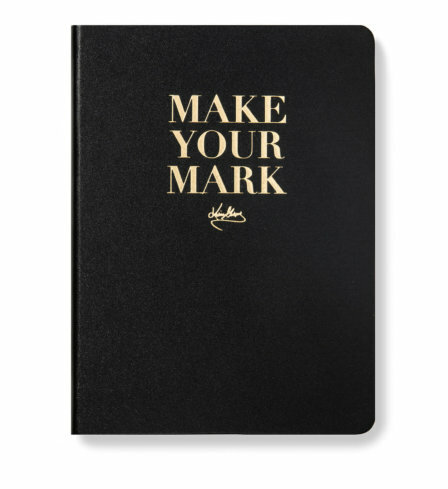 The Planner is exactly what I’d been looking for. 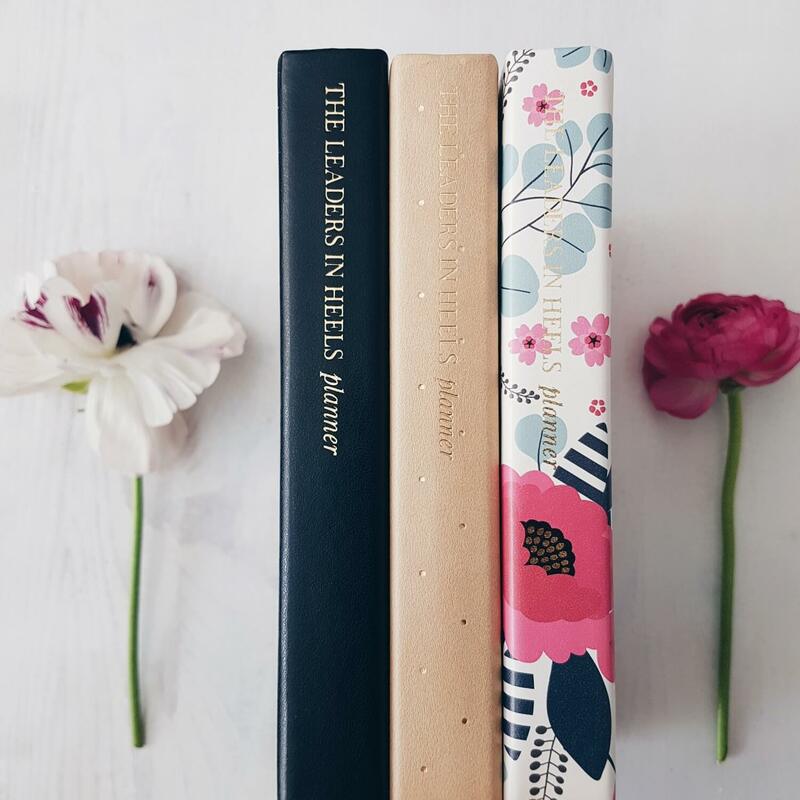 It is such a relief to have one single beautiful place to download all those brain-boggling thoughts – from big picture goals to daily ‘to do’ lists. 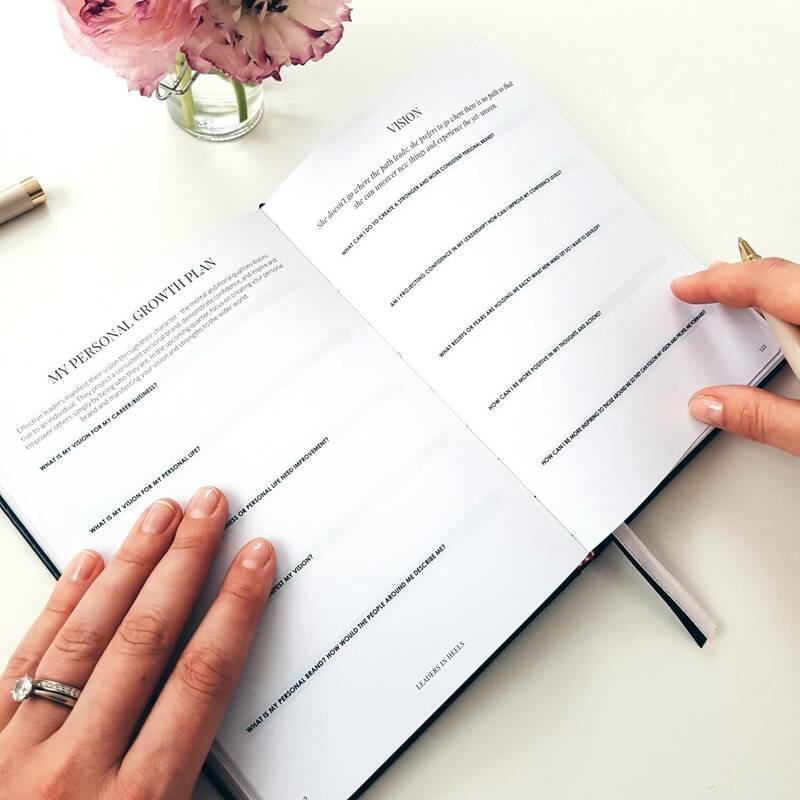 It clears the mind and allows you to focus on the tasks at hand – which are clearly set out on well-designed pages. 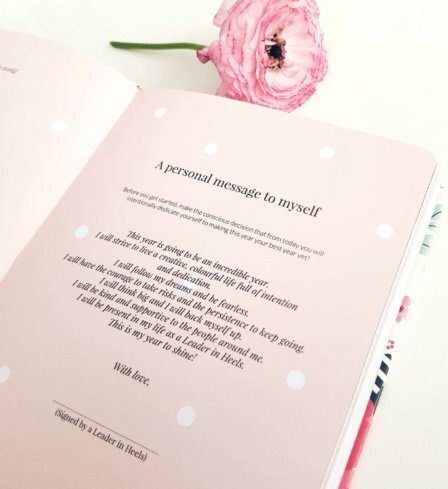 The inspirational quotes and doodle pages provide a welcome breath of fresh air during a busy day. Thank you for making my job easier! 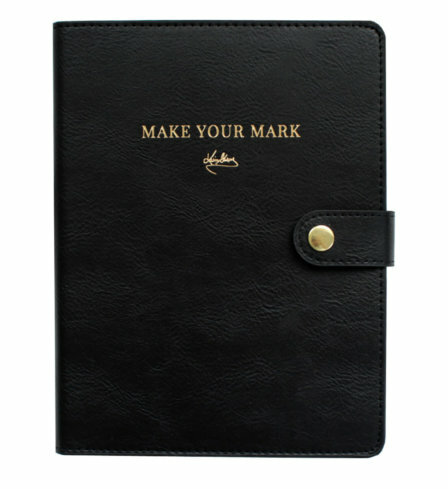 The quality and presentation of the planner was awesome. I bought two, one for me and one for a girlfriend who is currently an unemployed leader. She loves it. 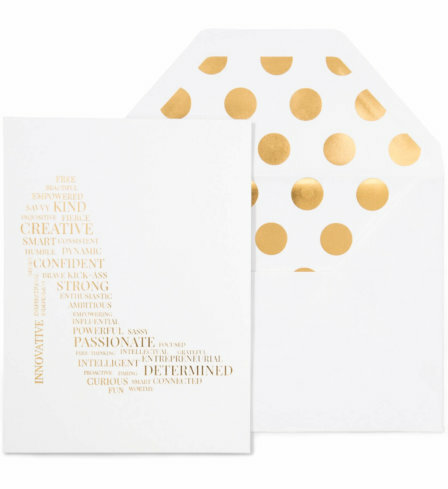 Your whole purpose excites me and I am sure I will be purchasing more as the year(s) go by. 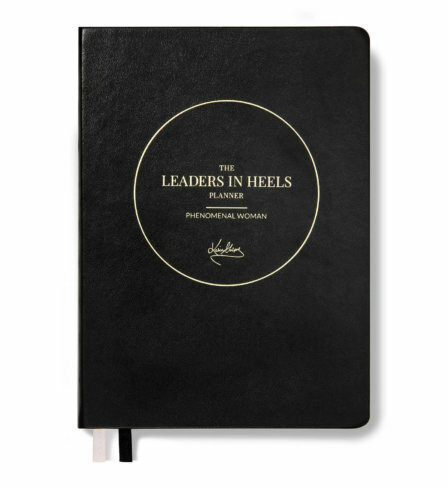 I love using the Leaders in Heels journalling and planning products. 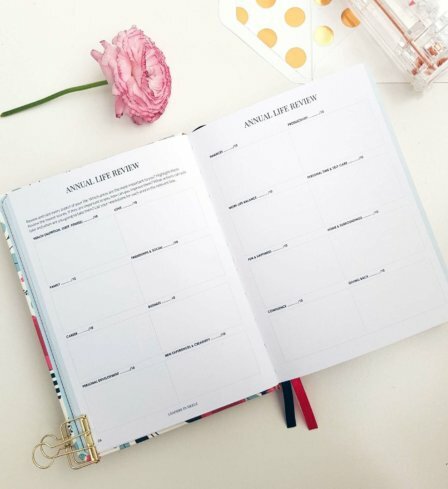 They have completely changed the way I go about doing my planning and help be stay on track because they are so beautiful and fun to use. 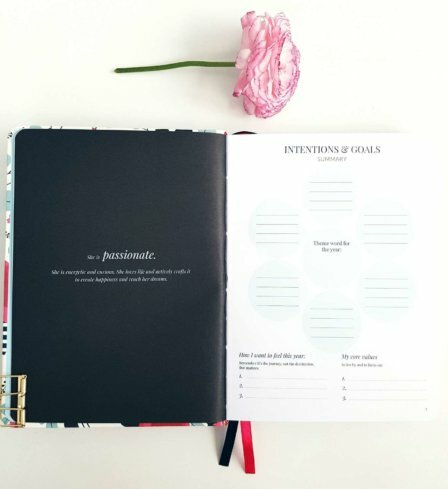 The Phenomenal Woman Planner was instrumental in helping guide me through the process of setting my intentions for this year and I’m so dedicated to my goals now. 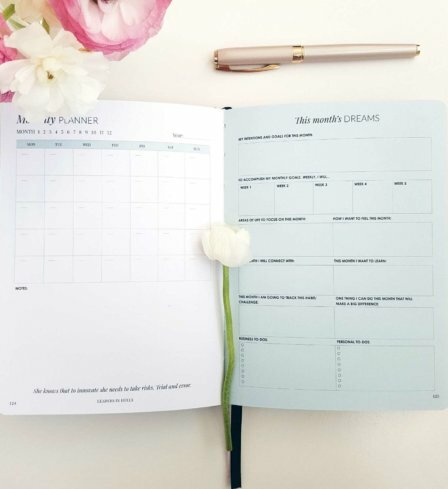 A fantastic planner! 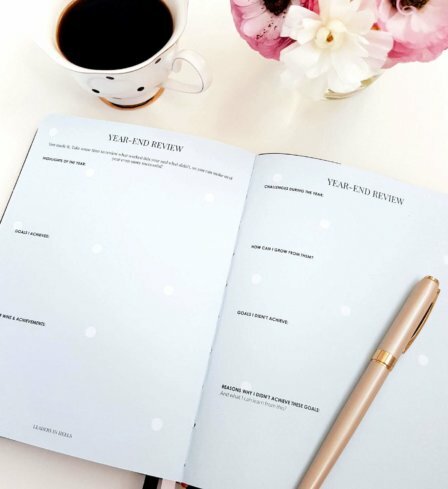 I love the process of setting goals, breaking them down to actions, then regularly reviewing outcomes. 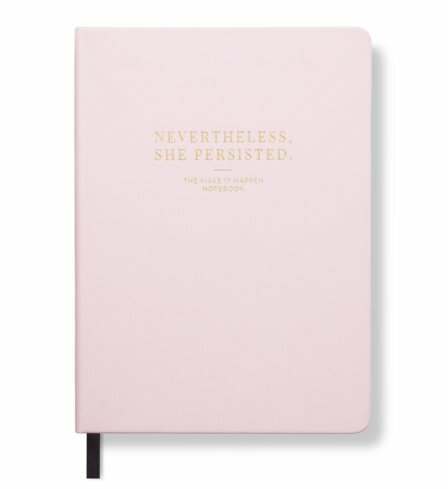 I love my new planner. 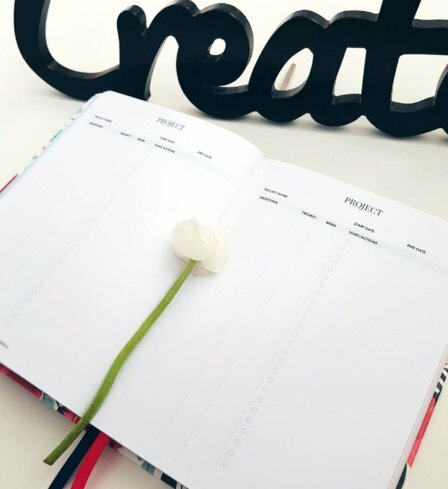 It gives me lots of inspirational pages to keep me motivated and on track. I take it everywhere! 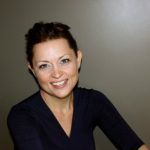 I am in the process of a career transition and I am at an early point in the journey. I have a career coach (who is a contributing author to Leaders in Heels) and my planner and notebook work perfectly to support my day to day life and my coaching sessions. 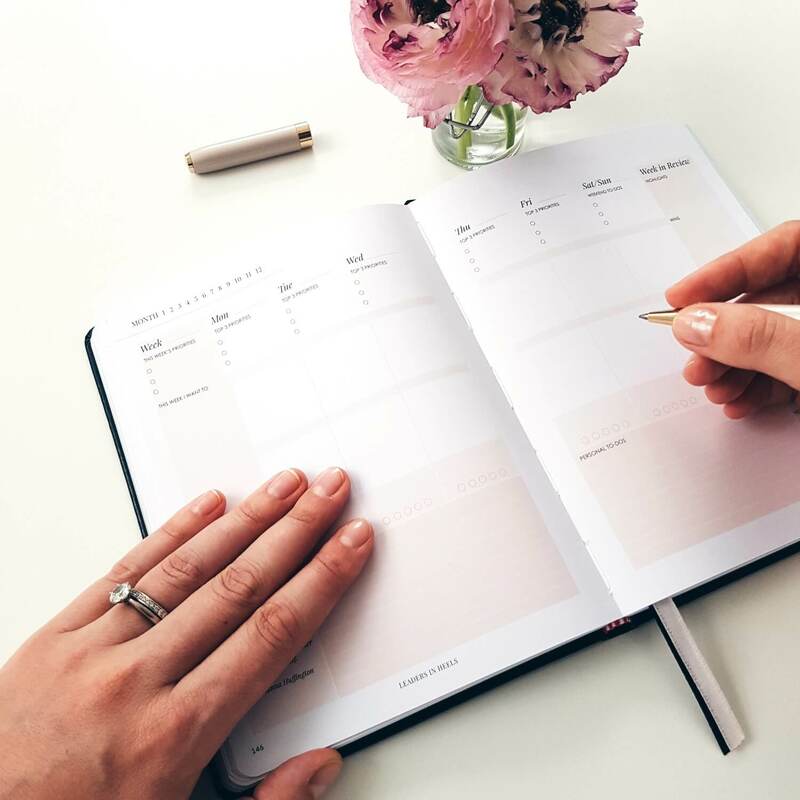 I am encouraged to journal on a regular basis using my notebook and I use my planner to not only set out my weekly activities, but also consider the bigger picture. 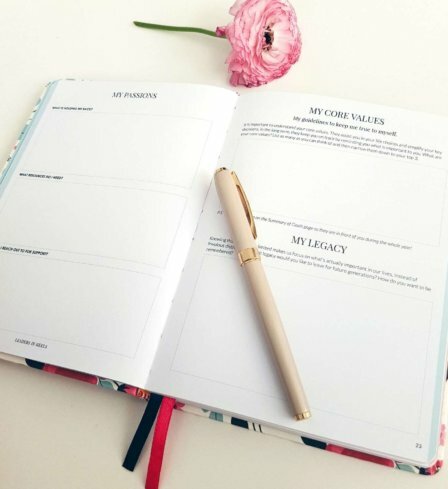 Having my goals and my core values written down is powerful. 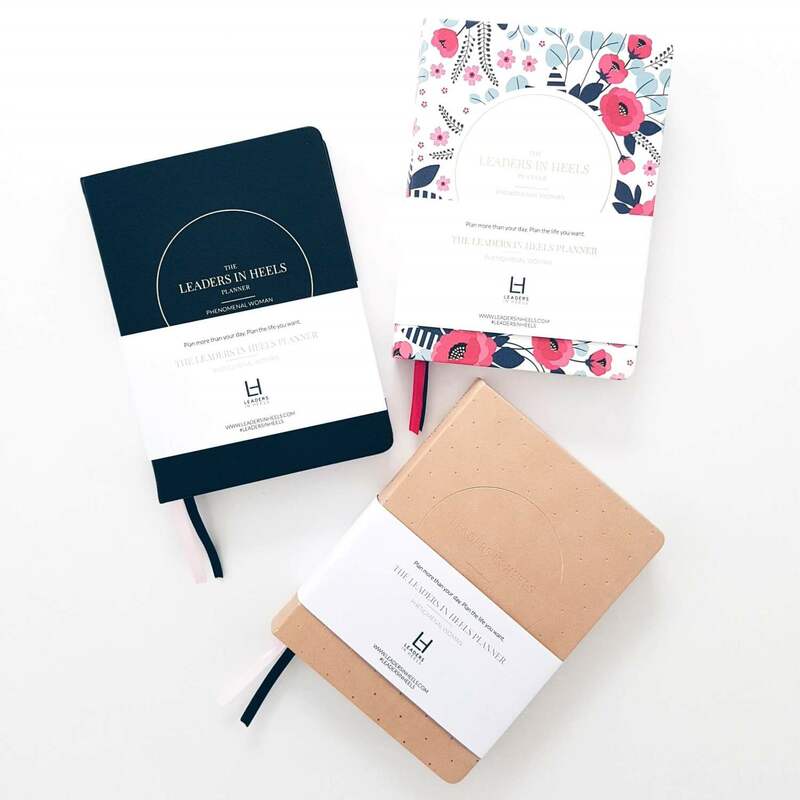 Beautiful, functional and motivational stationary. Excellent concept! 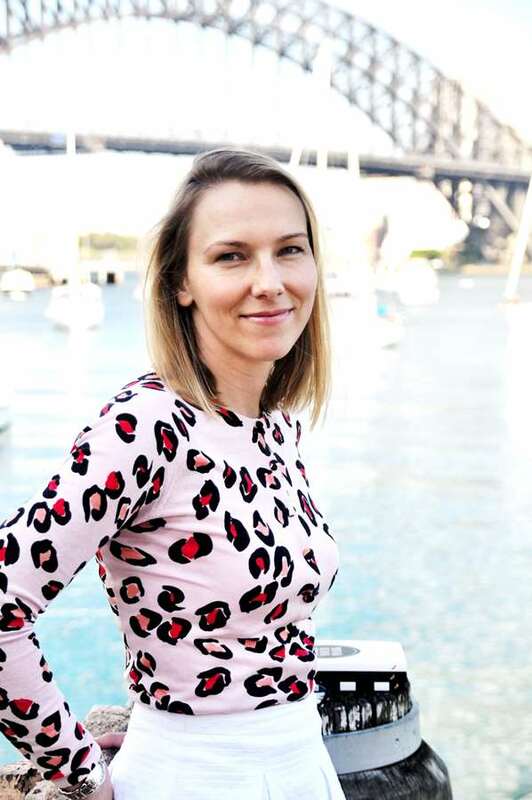 Well done Leaders in Heels! I just started to work in my planner and I love it. 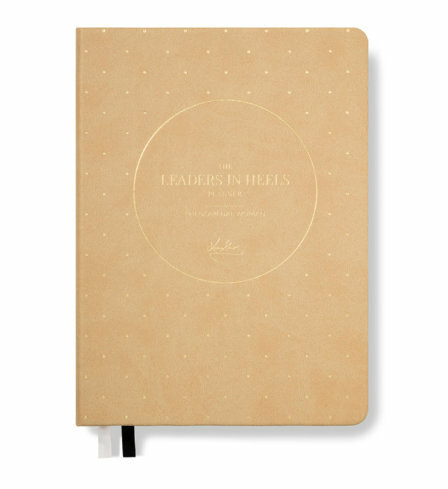 This planner will be able to help me with both personal and business planning. 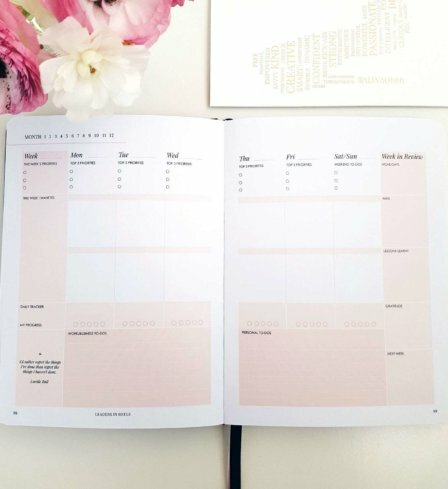 I especially love how I’m able to plan out my goals monthly, quarterly & yearly. Well organized & great quality. Thanks. I love my planners. This year I set goals and achieved them 6 months early while keeping focused and pushing forward to the next goal. 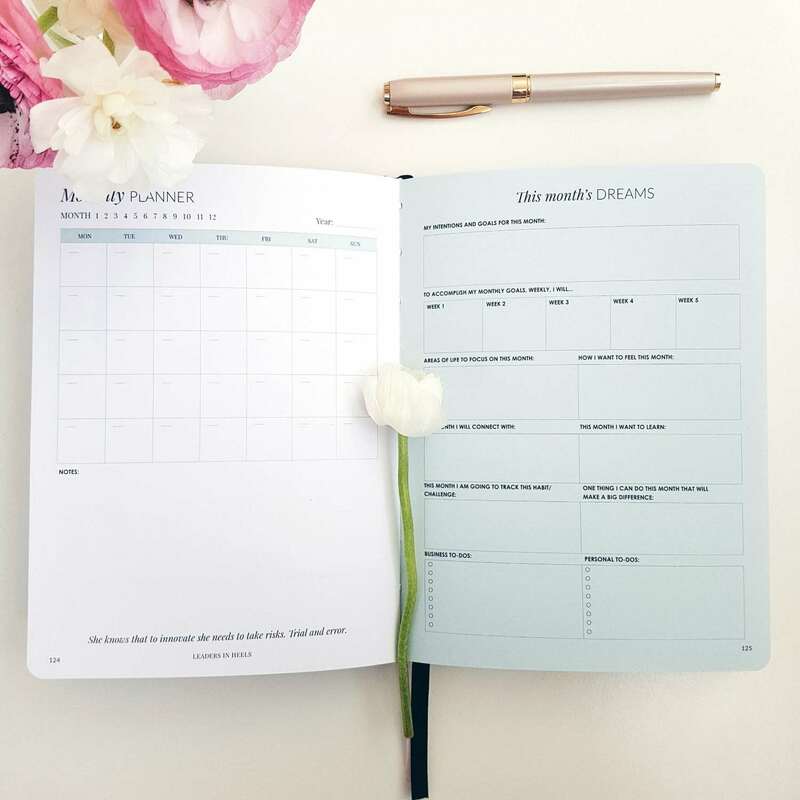 My planners helped me to set my intentions and to track where I was and how best to achieve what I needed to on a daily, weekly and monthly basis. Thank you for the monthly gifts. They are my daily reminder that I can and will fly. 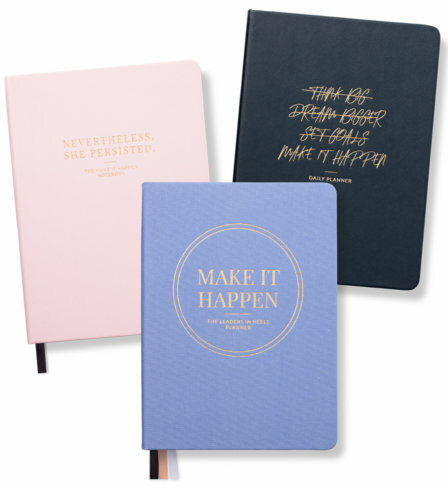 I am inlove with all my planners! 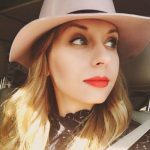 Super stylish! 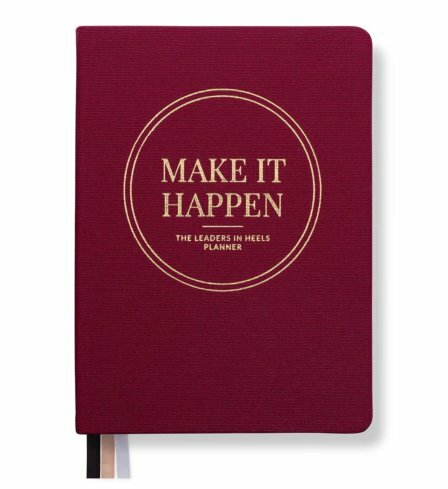 It is the best planner I ever had! It has seriously changed my life in the way I live my life. 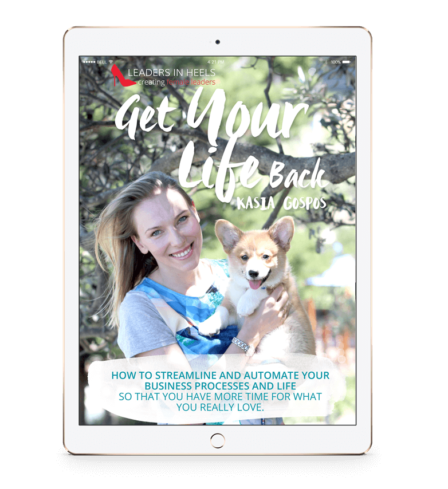 It really narrowed it down to whats really important to me and removed my old destructive habits that prevented me from achieving my goals. 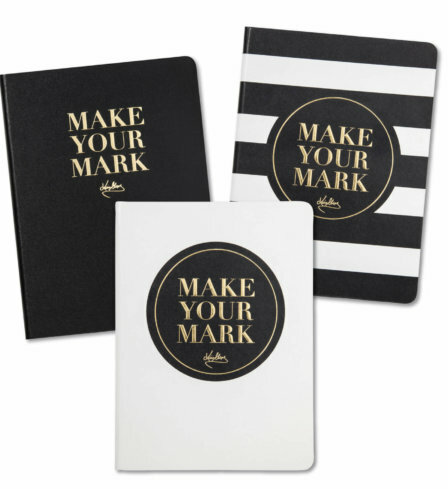 These planners are life changing!! 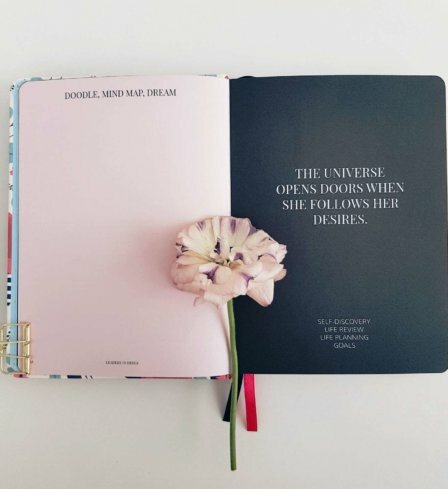 I adore my planner, at last a beautiful book to write all of my dreams, plans and lists in the one spot. Just what I had been looking for!